Are you lacking in sales revenue? Do you get enough face time with the right prospects? If your referral sources — centers of influence — have dried up and your lead pipeline needs to be filled, the fastest way to more revenue is cold-calling. But cold-calling isn’t in vogue, despite many sales executives and salespersons being perplexed about creating new ways to make sales. While networking is preferable, most networking events are geared for micro companies — they don’t provide adequate opportunities to meet CEOs. If you’re a consultant or a big-ticket salesperson, it’s important to start at the top in order to reach the right decision-maker. It’s easier to work your way down than it is to work your way up. In B2B cold-calling on senior executives, it rarely works to use the telephone to make appointments. Firstly, it’s the quickest route for short-term sales results, if you make a favorable first impression. Secondly, it helps build a foundation leading to long-term relationships. Why does it help long term? If implemented adroitly, you’ll forever be remembered from the favorable first impression you created. Unfortunately, many salespeople dislike it or more accurately, they are afraid of in-person cold-calling. They and their sales managers are also worried about time-management and fuel expenses. Consultants loathe such cold-calling, too. For them, it’s undignified — it feels reminiscent of early in their careers when they cold-called “with their hats in their hands.” They much prefer referrals. Yes, referrals are a great asset. But what if a salesperson can’t get enough referrals? It’s time to rethink the problem and solution. In-person cold calls do indeed work. Why? Remember, the goal is getting both feet in the door for face time. That’s why I especially keep in mind the adage, “Do the footwork,” literally. In-person cold-calling visits work well — if the right strategies are used. It worked for me years ago as a young salesman. It worked well when I was job-hunting. Today, it works well for me as a confidential business-performance consultant when I want to get outside for fresh air and exercise. It’s energizing, especially when the cold call leads to an immediate audience. Not to be gauche, but here just a few memorable examples: In-person cold-calling has worked to immediately get me in the door to see the mayor of a city, the CEO of a global paint company, and a senior executive in broadcasting. Other prospects have bought on-the-spot. So, yes, I’ve heard all the arguments against in-person cold-calling visits, but in my experience it does work — if implemented effectively. Approach the process with the right attitude – an attitude to provide a valuable service or product, and an attitude of gratitude. Research your prospects prior to making cold calls, so they’re not really cold calls, at all. Implement effective sales techniques, including empathy for the gatekeeper. Be poised with a professional appearance. Speak with formality until told not to be formal, e.g. Mr. Smith, Ms. Jones. Cold-call on the right days during day-parts when prospects are more likely to be receptive. Be strongly branded, and present the right collateral to prospects. Listen carefully and say the right things — from providing your value propositions and saying thank you to preventing buyer’s remorse. Have a presence in the room before you walk in the door. Have a presence in the room before you walk in the door. Get published, be interviewed in the media, use all social media including LinkedIn, join the Rotary and be an active Chamber of Commerce member, etc. Pre-selling makes the cold-calling process easier. You get to size up the prospective organization about its structure and culture. 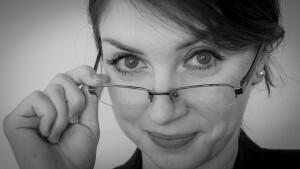 With such face time, you’ll get an opportunity to start building a rapport with the gatekeepers. The prospects’ gatekeepers and decision-makers are in a position to evaluate your professionalism. Sometimes, you get really lucky – you’ll be immediately ushered in to see the boss, who sometimes makes a buying decision on the spot. If able to schedule an appointment, when you return you’ll be more familiar with the prospects’ surroundings, which means you’re more comfortable when asking questions and providing value propositions as the prelude to your follow-up sales presentation. You’ve started laying the foundation for a long-term relationship. So, in-person cold-calling does work, if you do the right footwork. After it starts working for you, don’t stop. Keep the pipeline filled. Or, you’ll again be stuck and will lose valuable time by having to restart your sales engine. Some days, sales calls require a backbone and resilience, especially when some people are rude. Try to be understanding. Assess whether it’s an omen about how the company treats people – determine whether it’s a company that has too many problems to become your qualified customer. And, oh, yes — don’t give up. Good luck! 8 Tips for Cold Calling By E-mail and Telephone — Since the advent of the digital age, cold calling went out of vogue. But in the lingering tepid economic recovery – whether you’re in advertising or staffing services – cold calling has become the logical tool to use to generate clients or business customers. For most businesspeople, cold calling isn’t the easiest route but it is a proven way of getting clients and customers. The 7 Steps to Higher Sales — Secrets for sales success – seven steps to higher sales, five value perceptions that motivate customers to buy, and the three-step process for overcoming sales objections. 11 Sales Strategies to Outsell Your Big Competitors — Big companies have obvious advantages over small businesses. Their brands are well-known. They can afford sales training, sales-support staff and customer-relationship management software. On the other hand, there are good reasons why Cyber Monday has become big. Yes, many online customers do it to save money on sales taxes. There’s a second reason, too.